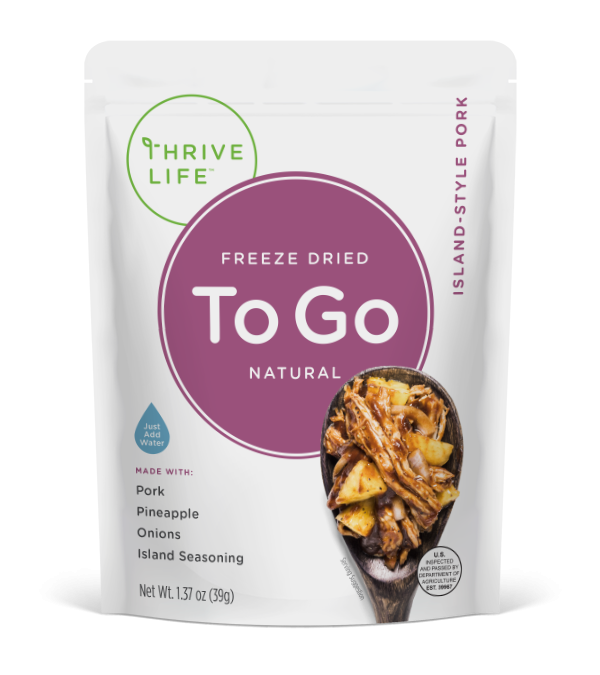 A mix of pulled pork, pineapple, onions, and island seasoning. Just add water for a smoky pulled pork sandwich you can enjoy anywhere! Cooked Seasoned Pulled Pork (Pork, Flavoring, Salt), Island Seasoning (Brown Sugar, Modified Food Starch, Tomato, Paprika, Salt, Garlic, Onion, Vinegar [Maltodextrin, White Distilled Vinegar, Modified Food Starch], Chili Pepper, Peppercorn, Natural Smoke Flavor), Pineapple, Onion Slices.